VOTE For Top Performance Of The Weekend! 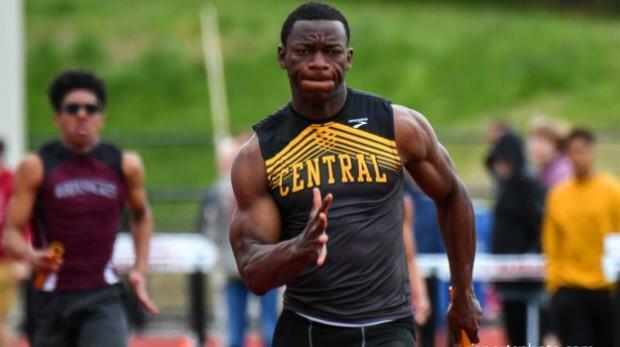 Central's Donatien Djero ran sub-49 for 400m at the Brian Moretti Invitational. Rhode Island athletes had two meets this past weekend. The boys headed to Narragansett for the Brian Moretti Invitational, while the girls traveled to Tucker Field for the Cumberland Invitational. There were several efforts that we noteworthy at the different locales. Now we want your vote. We picked eight we thought stood out from the rest. Click the performance you thought was the best of them all. Voting ends Saturday at midnight. With 88 votes, Toll Gate's Casey Gannon was our top vote-getter in last week's poll with her dual victories in 100m and 300m hurdles at the Schomp Invitational.